In celebration of Halloween which is coming in just a few weeks, I'd like to acknowledge the cultural impact of a b-movie known as The Rocky Horror Picture Show, especially on younger Baby Boomers and Gen X kids. 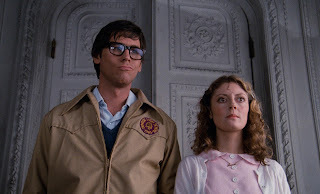 About a year ago, NBC's Today Show featured a reunion of some cast members from The Rocky Horror Picture Show movie (specifically, Barry Bostwick, Susan Sarandon, Tim Curry, Meatloaf and Patricia Quinn) for that film's 40th anniversary. That can be found at the end of this posting. The movie originally premiered in movie theaters in 1975, and was based on the 1973 musical stage production The Rocky Horror Show that ran on London's West End. The movie was originally panned by critics, and wasn't exactly a box office smash (if fact, it bombed at the box office), yet it soon saw new life as a cult classic, far surpassing all original forecasts. The Rocky Horror Picture Show soon became known as a midnight movie when audiences in the 1970s and 1980s began participating with the film at the Waverly Theater in New York City in 1976. Audience members returned to the cinema frequently, and talked back to the screen and began dressing as the characters, spawning similar performance groups across the U.S. Movie theater owners started to see the movie as a money-making opportunity which filled the theaters after hours, and happily obliged by running the show on a weekly basis. The story centers on a young engaged couple (played by Barry Bostwick and Susan Sarandon) whose car breaks down in the rain near a castle where they seek a telephone to call for help (this was in the days before mobile phones). The castle was occupied by strangers in elaborate costumes celebrating some kind of annual convention. They discovered that the head of the house was Frank N. Furter (portrayed by Tim Curry), an apparent mad scientist who actually was an alien transvestite who created a living muscle man he named Rocky (played by Peter Hinwood) in his laboratory. The couple was seduced separately by the mad scientist and eventually released by the servants who took control. This was hardly a mainstream plot or storyline for the early 1970s, as it featured open bisexuality, transvestitism and other subjects that were previously considered taboo topics to be addressed in polite company. But teens and adults alike took part in the Rocky Horror Picture Show experience and it became something of a right of passage for most kids of that era, plus the film more than broke even, having become quite profitable. 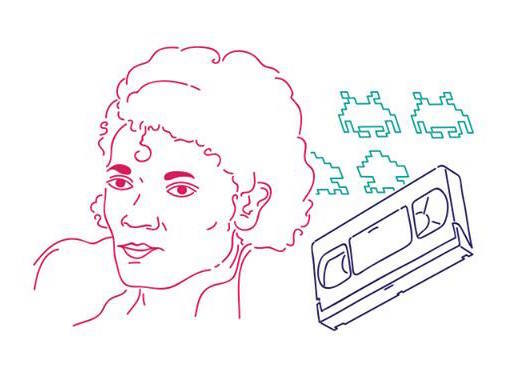 Of course, cult film participants were often people on the fringe of society that found a connection and a community at the screenings. But the film also made stars out of the actors and actresses who were in the show, with Susan Sarandon, Barry Bostwick and Tim Curry starring in more films they might never have been considered for if it weren't for Rocky Horror. It also brought the band Meatloaf success in record sales, again thanks largely to the movie. Some audio clips, including some radio spots for The Rocky Horror Picture Show can be listened to below, or at http://www.rockymusic.org/mp3scat/rhps/.